Water sprinkling will be cut to just one day a week and other water use restrictions will also kick in if Metro Vancouver moves to stage 2 restrictions. Drinking water reservoir levels have fallen rapidly in Metro Vancouver and tougher water use restrictions are a conservation option. A move to stage 2 restrictions could, if necessary, be directed by the regional district’s water commissioner, according to Metro utilities committee chair Darrell Mussatto. He said he wouldn’t be surprised if that happened by July 3, but Metro water services general manager Tim Jervis said Thursday his department does not yet anticipate a need to go to stage 2. Under Metro’s Water Shortage Response Plan, stage 2 restrictions would force residential lawn sprinkling to be cut to one day a week, ban aesthetic washing of driveways and sidewalks, as well as much use of pressure washers. Watering of school yards, sports fields, park lawns, cemeteries, boulevards and golf course fairways would be cut to minimal levels, in most cases once a week. Mussatto said the lack of rain and hot weather has been a “double whammy” driving demand up – water use is running 17 per cent above last year’s rate so far. On top of all that, the region had near-record low snow accumulation in the mountains, so the typical inflow into reservoirs is greatly reduced. Metro’s reservoirs were at 83 per cent capacity as of Wednesday but a graph comparing the water supply to historic trends shows an alarmingly steep drop in recent weeks towards record low levels. “That red line is not where we would like to see it,” Mussatto said. He urges home owners to stop watering lawns altogether as he has done. People used to hosing down driveways and pressure washing decks should switch to a broom, he said. The region has asked BC Hydro to reserve extra water from the Coquitlam reservoir, which the Crown corporation manages, in case it’s required for drinking water. The region would have to pay Hydro up to $600,000 if it taps the extra water that might otherwise be used to generate electricity. Stage 3 and stage 4 water restrictions could be imposed under Metro’s Water Shortage Response Plan to further conserve water, if necessary. At stage 3, all lawn sprinkling is banned, and hot tubs and pools can’t be refilled. At stage 4, all watering of plants with treated drinking water is banned, all car washes, water parks and public outdoor pools shut down, and many other water uses are allowed only if ordered for health and safety reasons. Mussatto said the region has only ever briefly imposed stage 2 and 3 water restrictions, in 2002. Stage one restrictions are the standard rules that run from June through September allowing thrice weekly lawn sprinkling from 4 to 9 a.m.
An invasive species is getting part of the blame for rising water demand in Metro Vancouver. 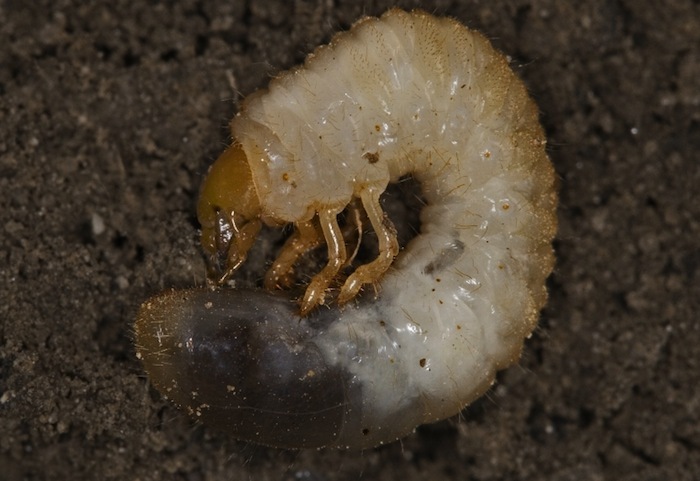 European chafer beetles have infested a much wider area over the winter and regional district officials expect an upswing in water demand as homeowners reseed and water damaged lawn areas. It’s yet another factor adding to the impetus to impose stringent water use rules. “We’re asking people to hold off and not to replant their lawns until the fall,” said Metro utilities committee chair Darrell Mussatto, adding infested turf should be removed and destroyed. Lawns infested by the beetles typically get destroyed by predators such as raccoons, skunks and crows that dig into the grass to feast on the beetle grubs. Many homeowners combat the beetles with nematodes – microscopic roundworms that devour the beetle larvae. That strategy requires moist soil conditions to work and more sprinkling as a result. Some cities give blanket approval for watering of nematode-treated lawns outside the allowed times, while others require a short-term exemption permit. They’re expected to adopt a common approach of allowing frequent watering of treated lawns for up to two weeks between 4 and 9 a.m.
Chafer beetles were first spotted in New Westminster in 2001 but have spread as far as UBC, the North Shore, the Tri Cities, Surrey, Richmond and Delta. The best defence against the arrival of the beetles is a healthy lawn, according to Metro, and mowing at a height of 6 to 9 centimetres can help.